With three seasons of drug drama Narcos now under its belt, Netflix is teasing the show's return via a new trailer. Right now, you can get a glimpse of the network's latest journey into the world of drug trafficking with the trailer for Narcos: Mexico. Coming in the wake of three seasons in both pre- and post-Pablo Escobar Colombia, the series is being transported to Mexico, and it's going back in time to early '80s. Narcos also has some new stars, as Diego Luna will play real-life drug figure Félix Gallardo and Michael Peña will take on the role of DEA agent Kiki Camarena. 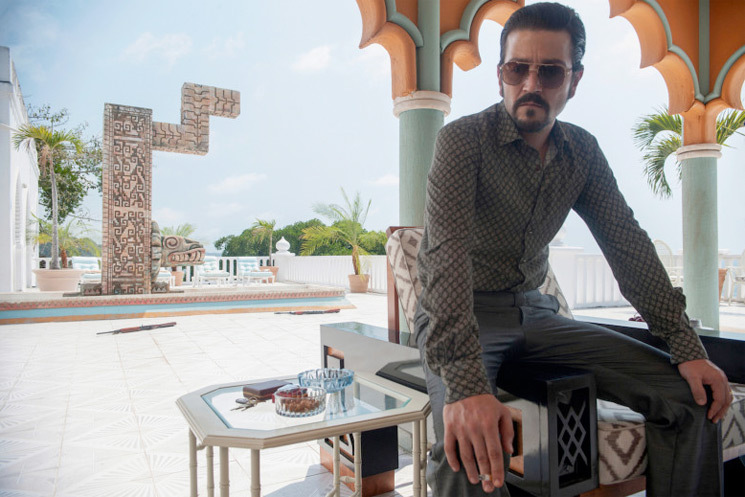 You can get an idea of what to expect by watching the trailer for Narcos: Mexico below. The new series hits Netflix on November 16.